Johnny Mack Brown was the photogenic star of Alabama's first Rose Bowl squad. 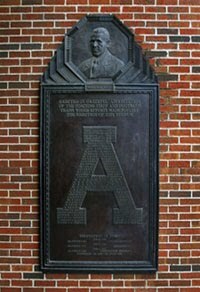 The fleet-footed halfback was dubbed the "Dothan Antelope" and he ran for two touchdowns in the contest against Washington to garner the Most Valuable Player award. The performance in Pasadena was a prelude for a long career in Hollywood. Interestingly, Brown was "discovered" while in Alabama, not during the Crimson Tide's trip to California. A group of actors filming Men of Steel in Birmingham in 1925 met Brown after a game and urged him to take a screen test. After graduating from Alabama, Brown was offered a contract with MGM for $75 a week. Brown was first touted as a romantic foil in silent films and was featured alongside Greta Garbo, Marion Davies as well as Mary Pickford in 1929's Coquette - a role that earned the actress an Academy Award for her performance. The zenith of his pursuit to become leading actor for a major studio came in 1930 when he starred in King Vidor's Billy the Kid but the rapid rise of Clark Gable as the main lead for MGM curtailed his career. Brown went on to work as a character actor for several other major studios but his desire for leading roles led him to work for low-budget independent studios. It was there he resurrected his career as a star of B-movie westerns. 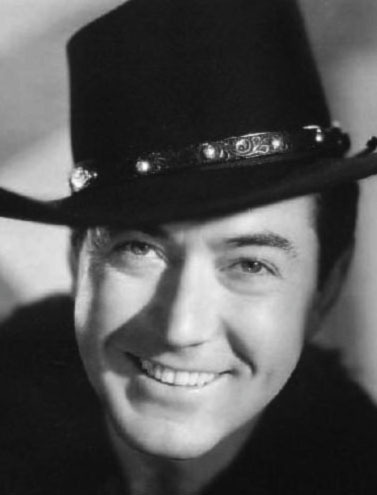 Brown eventually starred in no less than 127 Westerns and, during the heyday of the genre during the 1940s, he was consistently among the top ten money-makers for the independent studios and never ranked outside of the top ten in Box Office popularity polls.